Indian singles such as yourself are on our Shadi matchmaking site in order to find the woman of your dreams, the woman who you will want to spend the rest of your life with. 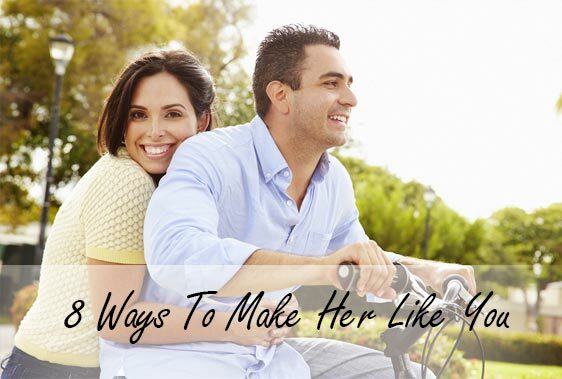 Learn about 8 ways to make her like you which will be covered right below. The one thing you will want to do is talk about anything that interests her, and don’t be afraid to talk about your interests as well. She wants to know what you are about. But whatever you do, keep the conversation intelligent and alive. Someone who she can converse with well is a major attractive trait. You want to groom yourself well before you go on your meetups, but never try too hard to seek her approval because she will see right through that. That is not an attractive trait. Be yourself, always! This point is relevant to the one above, but don’t try too hard to impress her because you will end up anxious about messing something up. There is no need to put yourself under pressure for anything. Allow things to progress naturally. Don’t overdo it with the compliments but every now and then tell her nice things about herself such as how smart she is, especially after she tells you something she did that really was a smart thing to do! Laugh with her, make jokes, and don’t be serious all of the time or else she will feel self-conscious. Only be serious with her when a topic of conversation warrants that. Even though you met her on our Shadi site for Indian singles, don’t talk about marriage right away. You will want to know what her long-term goals and desires are because if they are different from yours, then you will know right away that she is not the right fit. But don’t talk about getting married on your first or second date. If you show interest in her family, then that will impress her, and talk about your family as well to her. Ask about her friends too. Don’t do this right after you start dating her but once you have had 3 or 4 dates, buy her a small gift that she would not be expecting, or just leave her a sweet voice mail. Be subtle about it. She will love that. Now that you have learned about the 8 ways to make your potential life partner like you right away, then you will have an easier time of what do when you meet the girl of your dreams on our Shadi site for Indian singles.